We’re all constantly working to try and grow our businesses, generate more leads, get more customers and more profits. It can be difficult, especially for small businesses with not much of a budget to spend on marketing. The key is to find the right marketing channels that work for your business, many of which can be done at affordable prices. Social media is something that all businesses should be doing, regardless of the size of your business, the industry you’re in, or your budget. 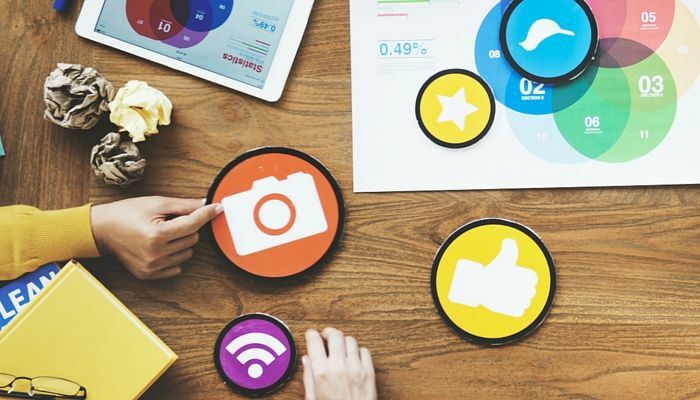 The popular social media platforms such as Twitter, Facebook, LinkedIn and Instagram are all free to sign up to, so it’s a great form of marketing you can use without spending any money. You are able to invest some money into social media for advertisements and promotions in order to boost your success, but again, this doesn’t have to mean spending the big bucks. Through social media you can post content with a link back to your website, encouraging people to click through and visit your site. This can be promotional content advertising specific products or services that you are offering or sales that you are running, or it could simply be interesting information about your business, such as how you formed, what you do, how you can help. If you have a blog or news page on your website, then you can share links to these. If you have your website set up on Google Analytics, then you’ll be able to track how much traffic is coming through to your website from social media to see how much of an impact it’s having. The more people you get clicking through to your website, the greater chance you have of generating qualified leads and making sales. Through social media, you can share content that shows the level of knowledge and expertise that you have in your field. Share quick tips or pieces of advice that people may find useful or might not know. Share links to the latest news from your industry or your local area to establish yourself as someone who is in the know, and the first account that people think to come to when they want to read the latest news in this area. You can also help other users by looking out for questions they might be asking in relation to your field and answering them for you. For example, on Twitter, you can use hashtags to search for instances of people talking about a certain topic, #marketing, for example. When you find someone you can help, hit reply and answer their question. This helps you to develop trust amongst other social media users, making them more likely to buy from you. If you have a blog or other forms of content created by your company, social media is a great way to get it seen. This helps you achieve a combination of the above; sharing links to your blog page increases traffic to your website, and sharing useful, informative and educational content will help to establish yourself and your company as an expert in your field. It’s not just about you sharing your content, either; once you’ve shared it on social media, all of your followers and other users on the site will be able to see it. If they find your blog, or whatever it might be, interesting or useful, then they might want to share it themselves so that all of their followers can see it as well. This increases the amount of exposure your content receives and helps to create a lot of inbound links to your website, which boosts traffic and is also great for your search engine rankings. Social media is another way of getting your brand out there and making more people aware of who you are and what you do. First of all, make sure that each profile you have is tailored to reflect your brand; it should have an avatar and header image containing your logo and brand colours, the name of your company should be clear and any messages that you send out should be in line with your brand values. Keep this consistent across all channels, so that you are instantly recognisable no matter where someone comes across your business. Stay active on social media by posting regularly and also engaging with your followers and other users on each platform. The more you post, the more likely you are to be seen, but make sure not to bombard your followers with too much content. Try to get as many followers, likes or connections as you can to expose your brand to as wide an audience as possible. With more than 2 billion active social media accounts across the world, it’s likely that your target audience are out there. Social media is an easy and cost effective way to reach your customers and potential customers. Which social media platforms you should focus on will depend on who you are targeting; if you mainly target other businesses, LinkedIn is a must, and we’d also recommend Twitter and Facebook. For businesses targeting consumers, visual platforms such as Pinterest and Instagram can be really effective, and others such as Snapchat, especially if you are targeting a younger audience. Twitter and Facebook are also good platforms for reaching consumers. You don’t need to use all the platforms you possibly can, but find out which best suit your business and really focus on building up a following on these. It’s clear that social media is an invaluable tool for your business in helping it to grow and generate more leads and more profits. Speak to us today about developing a social media strategy to grow your business. Contact us.